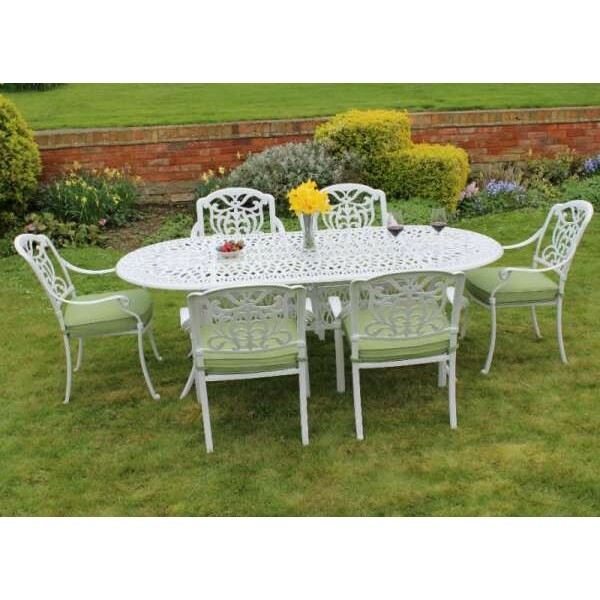 The Cast Aluminium Tudor Oval Dining Set from Brackenstyle is made using all weather, powder coated aluminium meaning it can be left outside throughout the year with little to no maintenance required. Much lighter than a wrought iron equivalent, the aluminium chairs are easy to move around but are extremely durable and hard wearing. 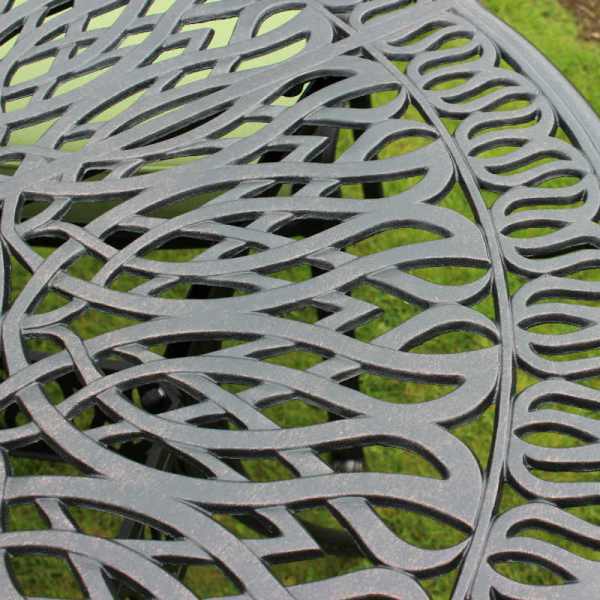 The beautiful patterning on the seats and table adds a traditional touch to any garden or patio and help to make this dining set a true centrepiece to boast about! Underneath the table there are decorative metal strips connecting each leg together for additional support and stability. The 7cm thick, premium cushions are included and removable for easy storage when not in use. 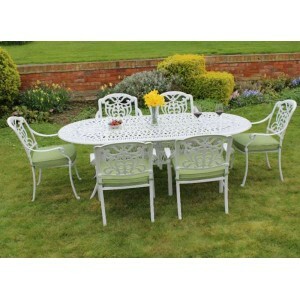 Available in a choice of Dark Bronze (with cream cushion) or Speckled Egg Shell (with sage green cushion). In order to keep this set in showroom condition, the cushions should be stored indoors when not in use. Clean as and when required using warm soapy water and a cloth or sponge.